I love photography. I have since high school. And, like many of my friends, I've fallen even more in love with it since getting a DSLR just before Jude was born. 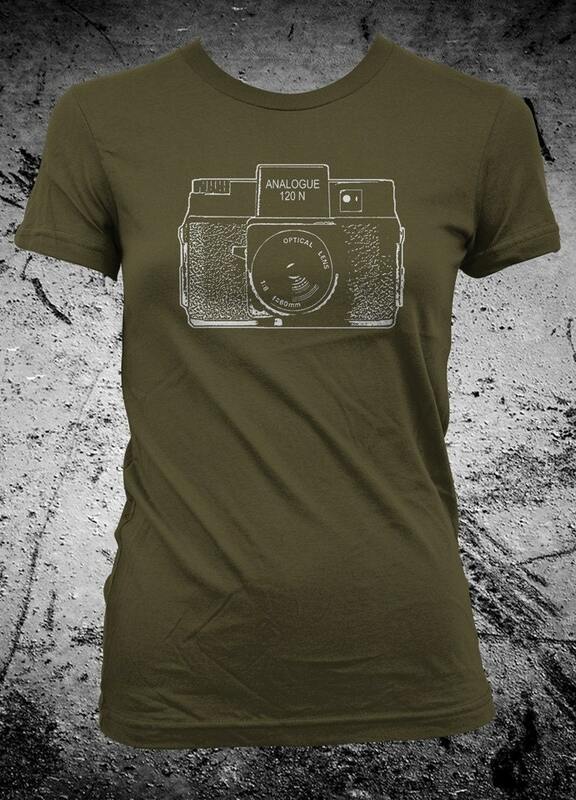 So it's only natural that I should do a Feature Friday about camera-themed items. 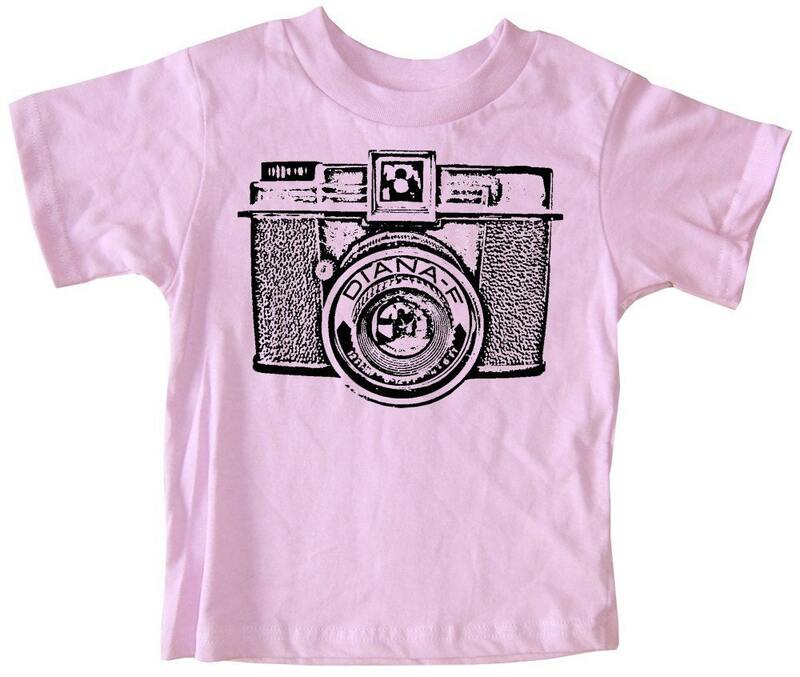 I just seriously cannot get enough of all of the great items on etsy that can showcase our love of our cameras! I love photography, I love the little saying, and I love coffee... what more could a girl ask for? 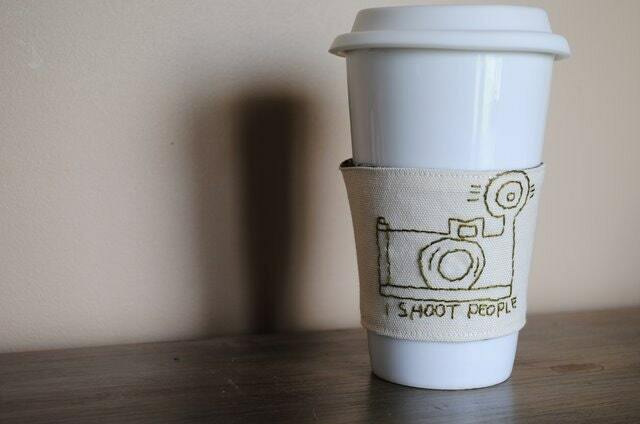 This coffee sleeve, along with all of the other seriously adorable stuff in Aubrey's shop, is hand embroidered and totally customizable. You can keep up with Aubrey and what's new in Aubrey Plays on facebook, twitter, and her super-fun blog. You're also going to want to stay tuned, because in a future Feature Friday, I'm going to be featuring the rest of her shop, and she's going to give away a coffee sleeve to one lucky reader! Isn't that cute? You seriously need to go check out all of their shirts. They are all so classic and they have been featured everywhere from Time Magazine to The Times-Picayune to The New York Times to The Daily Show to NPR to CBS to the big sliver screen. I wasn't kidding when I told you they were popular! Right now, you can get 15% off your order from Happy Family with the code HAPPYFAMILY15, and you can also get a free tote bag with your purchase of two shirts! Squeeeee! What little retro cuteness! 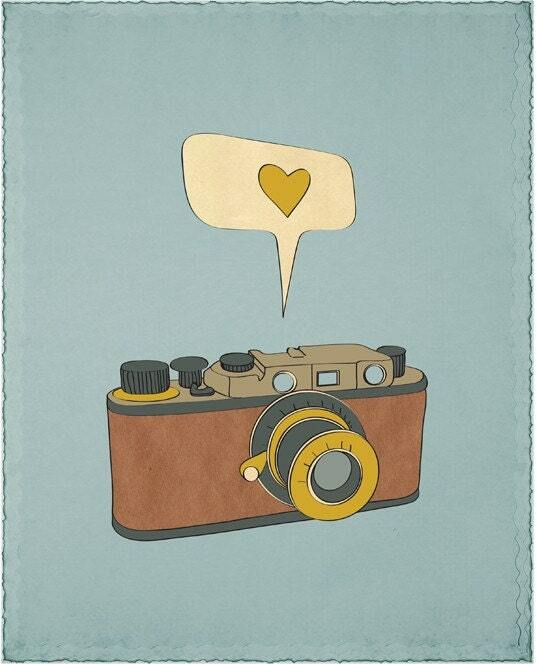 This would be so cute on a bag, jacket, or... anywhere, really. 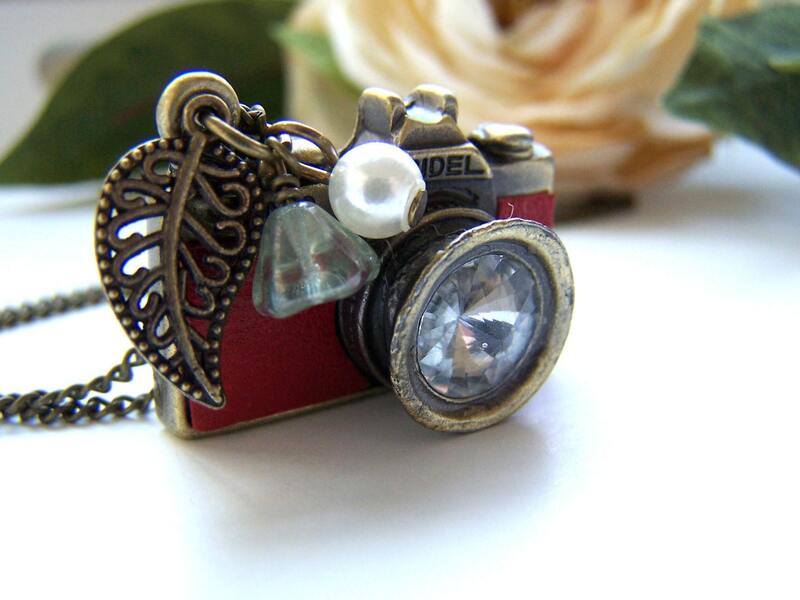 Sarah has several other little retro cuties in her shop (including a Leica brooch), so be sure and check them out. You can keep up with Sarah and what's new in Crafty FOLK on her blog and twitter. I love it so much. Leigh has oodles of other beautiful pieces of jewelry in her shop, and if you're looking for something for a lady in your life, anything there would make an awesome gift. You can keep up with new items, giveaways, and sales from Barberry & Lace on facebook, twitter, or her blog. Leigh is also offering 10% off your purchase just for My Messy Manger readers! Just enter MMMBLOG at checkout! Let me tell you a little secret. Several Christmases ago, my amazing husband surprised me with a Holga camera. I was over-the-moon excited! 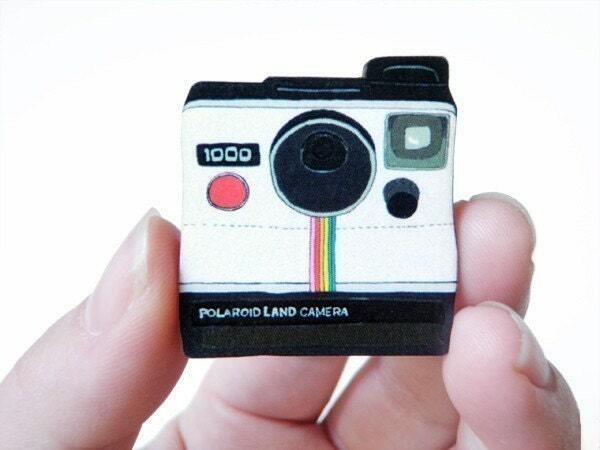 These fun little toy cameras take some amazingly artistic pictures! They're kind of like the original instagram app on an iPhone. I took one roll of pictures with it and quickly realized that very few places will develop 120 film anymore. That first roll of film is still sitting in the camera, and my husband has never let me live it down. Maybe when we move again and I dig it out of a box somewhere, I'll pick it up and finally start using it. Not that you have to have owned (or neglected) a Holga to appreciate the vintage awesomeness of it. It's printed on a super soft American Apparel tee, so you know it's going to be comfy and cute, to boot. And guess what? In a future Feature Friday, Nancy is going to be giving away a shirt to one lucky reader, and offering a coupon code for free shipping within the US! Yay! You can keep up with i heart analogue on twitter for updates on new items and deals. Hold me. I love it! We've recently joined the iPhone movement now that the older models are so cheap, and we are really enjoying it. How much fun would it be to keep your phone all nice and safe in one of these? And I'm just going to tell you that you will be doing yourself a huge disservice if you don't go check out all of her other awesome cases. They are so bold and fun. Abigail is offering free shipping on any purchase from Crank Cases with the code MESSYMANGER! It's part of a series of prints called It's A Passion, where she puts a little heart bubble over some of people's favorite things, like blogging, sewing, reading, and more. Susana's designs are stunningly gorgeous and creative. I spent way more time than I probably should have just clicking around her shop and admiring her work. I loooooove it all. You can keep up to date with new gorgeous prints, sales, and giveaways on Susana's facebook page or blog. And guess what? Susana is going to give one lucky reader a free Point and Click print! Yay! I'm using a new giveaway managing website this time, which is supposed to make things easier for all of us, so let's see how we like it. Just follow the steps below and click the little "I did this!" buttons after completing a task, and you'll be entered to win! Remember: The winner will be announced in a new post here on My Messy Manger. You MUST subscribe via RSS or at least check back after the giveaway is over to know if you are a winner. I love the Bloom Where You Are Planted print! I am in love with the "Today a Reader, Tomorrow a Leader" framed print! I am trying to instill the love of reading in my daughter. my favorite is the customization family names with the birds on the branch. too cute! In all seriousness, I love the print that she's giving away. Incredible work! I love the Aquarius Zodiac Print! my favorite print is the Great Day print! Love so many of them: 'I am sew creative,' 'Today a reader ...,' 'Love is all you need,' 'Point & click,' but my most favorite is 'Lemon drops.' :) They're all fabulous! so cute! i'd love to win this giveaway! i'm getting married this fall and would love to gift it to my photographer!! Oh my goodness, I love all of them! The "A Light Heart and a Happy Soul" print from the kids collection is to die for, though. I love the "king of a big deal on my blog"! I like the love is all you need print. I love the I READ - (It's A Passion) print! Awww! I love them soooo cute. 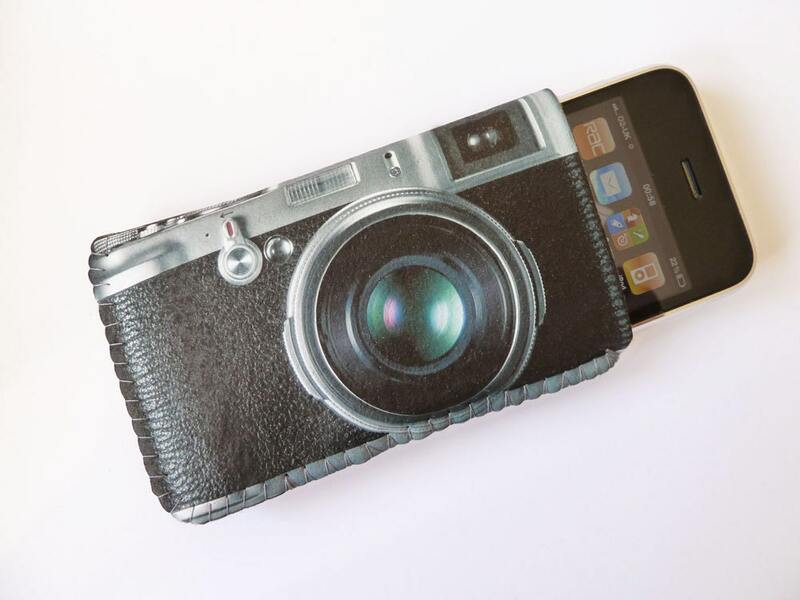 I love the camera print, but also adore the Sew creative print.. I hope I win! i love it. I love the print: "Today I am a reader, tomorrow I am a leader." I am a Special Education urban educator and it is a message I push through to my scholars every day. I would love to win this print and hang it up in my classroom. I really like the 12 Signs of the Zodiac (11x14 Print). Wow, I love that print!! I love the "Be Who You Arrrgh" Print. Oh, I am bookmarking this post for future gift ideas for my photography loving sister-in-law! I'm thinking she'd love that print (and if she doesn't I have another camera loving friend who might). Now, MY favorite print from her shop would have to be the Ride the Tide print! Beautiful! Oh, doh! Contest is over! Shoot! (And I don't mean a picture). But am favoriting you on twitter and hopefully will catch that next contest. By the way...noticing only 19 comments. If you have any more low entry giveaways, I post giveaways that are under 60 comments ending in 5 days or less on my blog at suchfuntogive.blogspot.com ! Please share if you have any more!